Even though bed bugs are not found in most places, older homes and motels in semi urban or remote areas with unclean sheets and poor hygiene facilities tend to be ideal spaces for a bed bug infestation. These are tiny creatures that could be living in your mattress or other corners and crevices without you realizing it. These insects feed on humans and animals for their blood. Bite marks, rashes, and itches are signs that you are being bitten by bed bugs at night. Bite marks from bed bugs are not harmful but you at the first sign of these marks, it is best you get the bed bug infestation taken care of. If your bed is infested with bed bugs, they usually come out to feed on humans only at night. 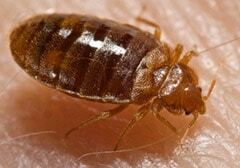 Bed bugs will crawl on the skin and feed on human blood. The areas they bite leads to itchy skin. This can turn red due to allergic reaction from the bite marks or from excrement or shredded skin from the bed bug. 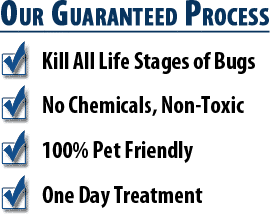 At the first sign of a bed bug infestation, it is best to find a permanent solution through a professional exterminator service. 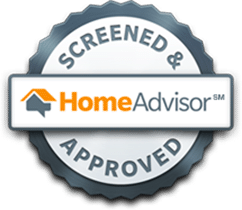 Our professional Sedona bed bug exterminators will inspect your home to find the infestation points. 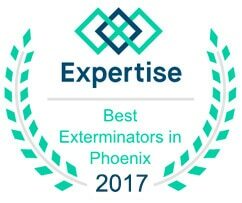 Once the exterminators are able to identify the infested areas, they will employ either the heat or chemical extermination process. Depending on the type of treatment, there are some preparation procedures that need to be followed. Proper preparation is crucial to successful treatment. We will not be able to treat if you have not followed our preparation checklist. 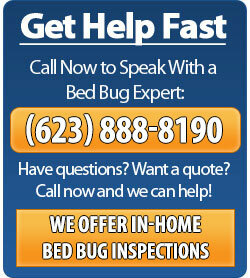 To help you get rid of your bed bug infestation, contact Phoenix Bed Bug Expert at 623-888-8190.